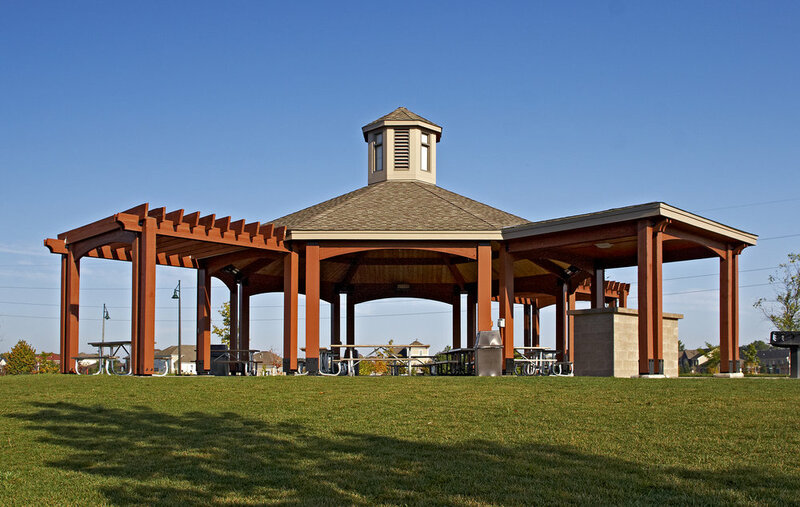 Hagen, Christensen & McIlwain Architects designed a complex of buildings within Lakeside Commons Park in Blaine, MN, which include a Picnic Pavilion, Boathouse and a Beach Building. HCM Architects worked with SRF Consulting Group to master plan the site and locate the buildings to provide accessibility and maximum views of the lake. The park and buildings are designed as a visual extension of the natural parkway that meanders through the housing development with materials that are natural, warm and rustic lending themselves to exhibit high craftsmanship. The structures are designed to incorporate stone, wood and detailing that recalls the qualities of garden structures that will tie into the garden-like feel of the overall development. 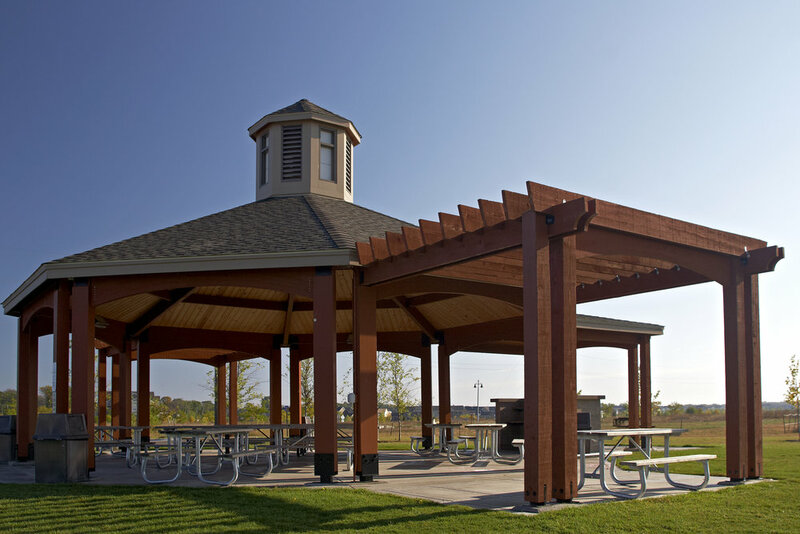 Hagen, Christensen & McILwain Architects designed new picnic shelters and toilet buildings for Keller Regional Park, located in Maplewood, MN. The design is intended to be a modern interpretation of the historic Keller Golf Course Clubhouse, which sits above the park. Schematic design was completed for 15 proposed buildings, which have been constructed in phases over the last several years. Repeated on sites throughout the park, these building designs were carefully sited and oriented to work within the changing context and landscape of the park, while using materials similar to those used on the Keller Golf Course Clubhouse. The limestone retaining walls and trail connections were designed to facilitate circulation through the park, provide areas of rest and provide connections to adjacent trail systems. Hagen, Christensen & McIlwain Architects designed a new beach house within Lake George County Park in Oak Grove, MN. HCM Architects located the buildings to provide accessibility and maximum views of the lake. The designincluded spacious natural light filled toilets and family changing rooms. Also included is a sheltered patio and vending. 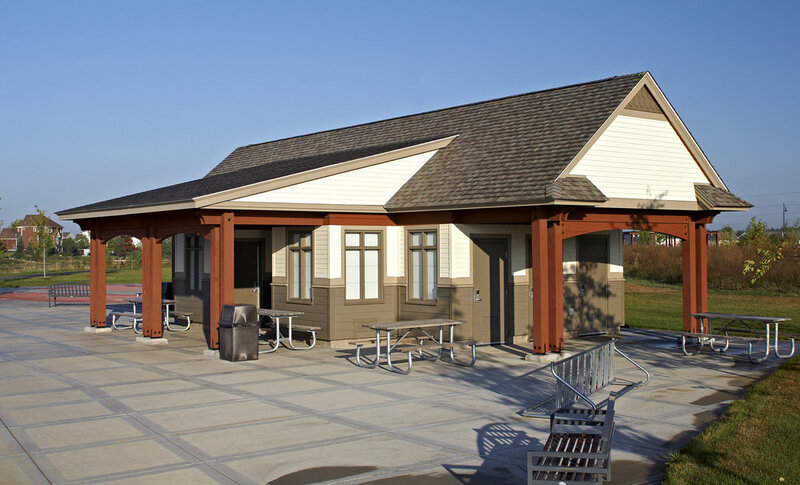 HCM Architects designed the new Nordic Center Complex at Lake Elmo Park Reserve which included site work, the Nordic Center and over 5 miles of lit cross country ski trails. The building is used by park and trail users as a gathering/warming space and hosts conferences and special events.